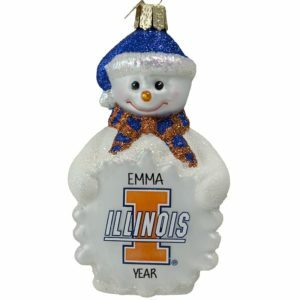 Our hand personalized University of Illinois Illini Christmas ornaments are a fun way to share your school pride. 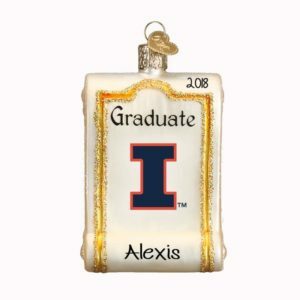 Deck the halls and share some holiday cheer with one of our affordable college team keepsakes, made more appealing when customized with a student, fan and/or alumni’s name and year to create a treasure that will surely be admired for years to come. 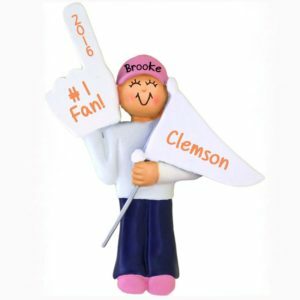 Some of our #1 best sellers, which also happen to be officially licensed, feature the university’s official colors and team logo. 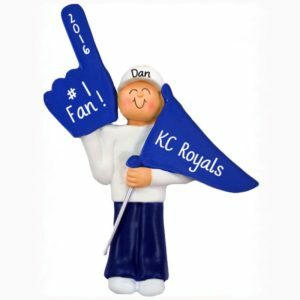 Many are even crafted from mouth blown glass. 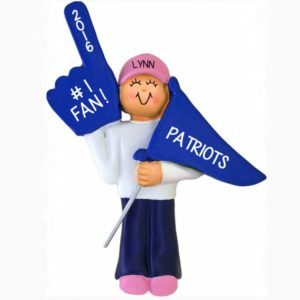 Pick from our popular hoodie, pennant, lil players, photo frames, glass balls, stained art glass and many more. 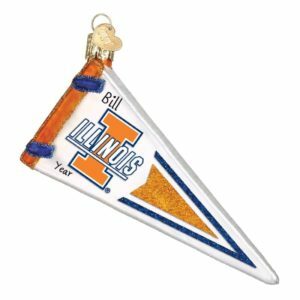 Each one of these customized Illini keepsakes will be personalized by hand at no extra fee. 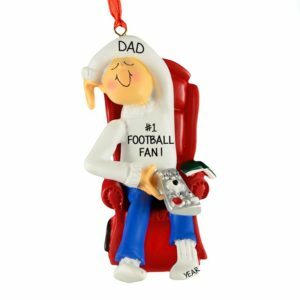 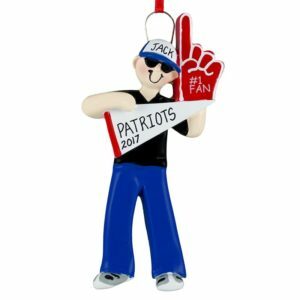 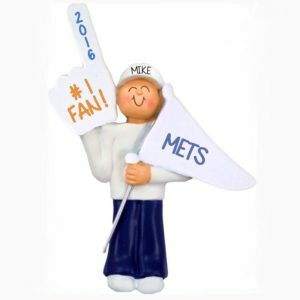 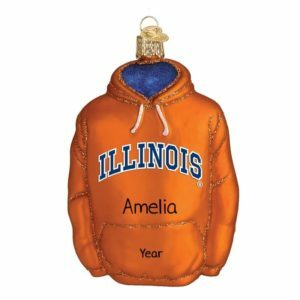 Let Personalized Ornaments For You help you share the spirit of the Fighting Illini all year long.